What Is Emergency Medical Training? Crown College, located just west of Minneapolis, has recently launched the Emergency Medical Training Institute (EMTI) in partnership with Ridgeview Medical Center (RMC), one of the region’s top medical providers. The new venture will leverage the college’s expertise in education and program management along with the medical expertise of RMC to provide workers in emergency medical services throughout the state with required prehospital emergency training and American Heart Association certifications. EMTI utilizes a blend of instruction and hands-on practice under the guidance of experienced instructors and evaluators. Classes are available to both EMS professionals and civilians at multiple training locations. 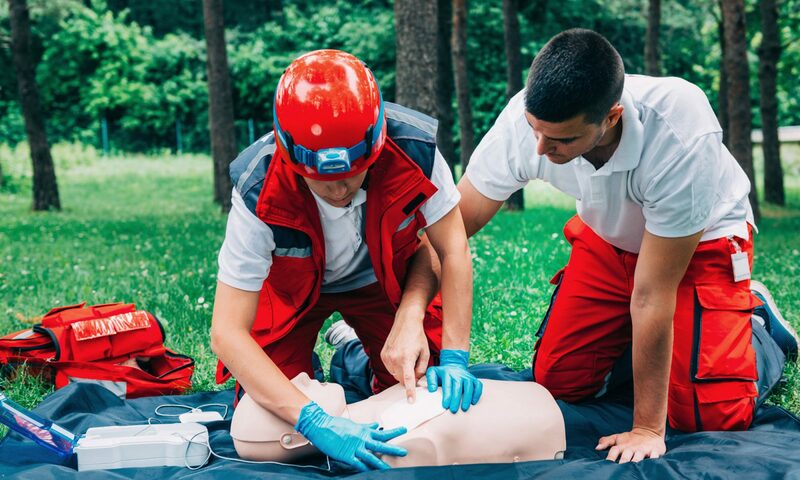 Emergency Medical Technicians maintain a critical skill set that can often be life-saving to those involved in accidents and other emergencies. EMTI offers training courses designed to refresh less-used skills, introduce new techniques and methods, and align with national certification standards for each course. Certified instructors with professional experience in the field. Easy, online registration for individuals or groups. Convenient learning at our locations or yours. High-quality training methods and materials. Medical Director leadership and oversight. Opportunities for advanced simulation training. Contact us for more information or to arrange courses at your location.